Ayumu who gets killed during a spate of mysterious serial killings. 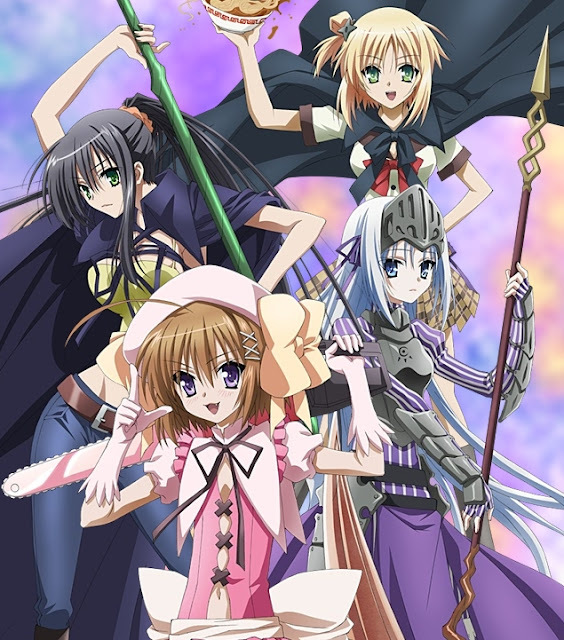 However, Ayumu is resurrected as a zombie by a necromancer girl named Yuu, who Ayumu had just met before dying. Ayumu reawakens in a world surrounded by masou shoujo (magically equipped girls) and vampire ninja. 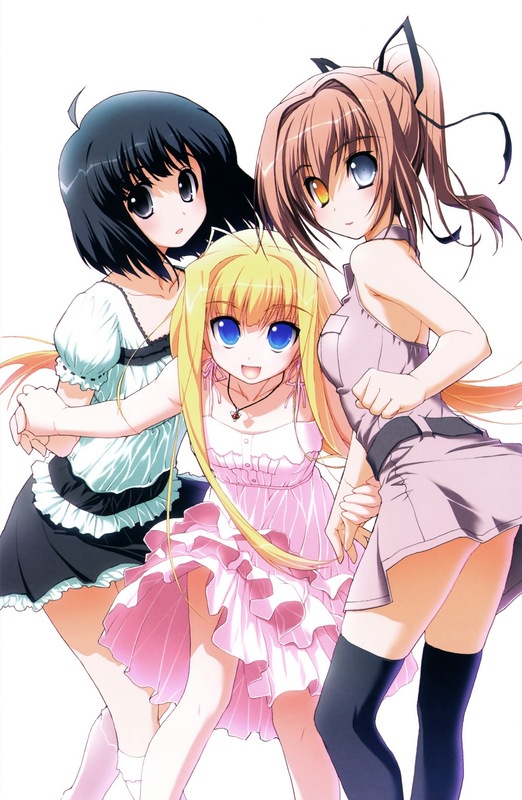 Ayumu is assigned the duties of a masou shoujo by a magical warrior girl named Haruna. There exist familiars who have the power to grant one wish to a chosen girl. However, in exchange, that girl must then become a Puella Magi, a girl with magical powers, and fight against witches, evil creatures born from curses that are responsible for murders and suicides. 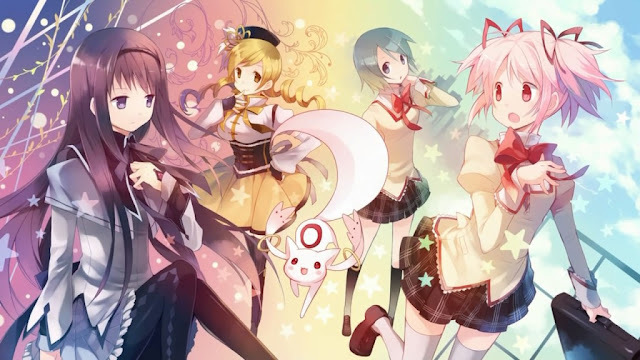 A schoolgirl named Madoka Kaname and her friend Sayaka Miki are approached by a familiar named Kyubey, who offers to grant their wishes and make them Puella Magi. Another Puella Magi named Homura Akemi tries to prevent Madoka from making such a deal. Madoka soon learns that there is a dark side to Puella Magi. A girl named Subaru witness a star shower on night. The next day at school, she enters the viewing room to find a strange magical garden and a boy named Minato. Later on, when her compass is stolen by a strange green blob, Subaru comes across another room filled with oddly dressed girls, one of which is her friend, Aoi. As the other girls in this strange club wonder how Subaru came across this room, since it was allegedly sealed by magic, Subaru hears a strange noise, which alerts them to a star shower. 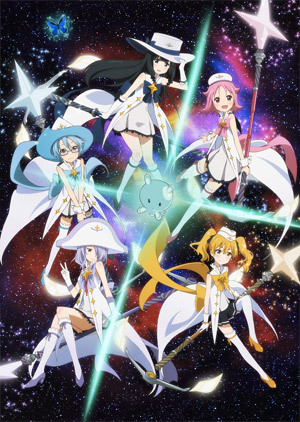 Subaru is transformed into a magical girl and joins the others on a magic broom ride to chase after a large star known as an Engine Fragment, which they are collecting to send the club president, the green blob, back to his home planet. The story follows the "strongest juvenile delinquent", Oga Tatsumi, who is a first year in "Ishiyama High" the school for delinquents. The story starts as he is telling the story of how he found the baby to his best (and only?) friend Furuichi Takayuki. One day while fishing by the river (actually, taking revenge on people trying to kill him in his sleep), he sees a man floating down it. He pulls him to shore and splits him in half which reveals a baby boy inside. This boy is the son of the great demon king and he has been chosen as the one to raise it with the baby's maid Hilda. The story follows his life with the child and at the delinquent school. 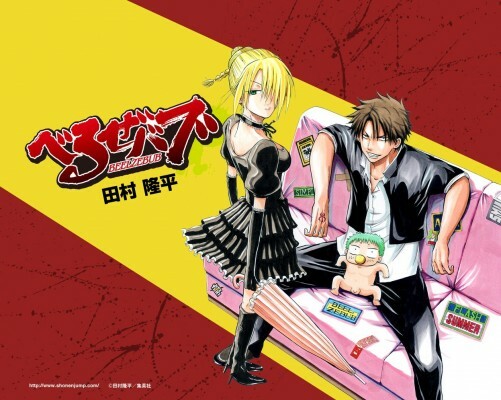 The early chapters of the manga follow Oga as he attempts to 'pass on' Baby Beel to other students at Ishiyama, (The theory is that if Oga can find someone more evil and stronger than him, Baby Beel will attach to that person instead of Oga). A normal high school boy Ryūji Kisaragi's peaceful life is turned into an adventure by the return of his second cousin, Eriko. Ryūji and Eriko seize a relic box from a black broker named FANG. In the box, they find a red dragon girl whom Ryūji names Rose because of her rose like pattern on her left hand. In order to protect Rose from the black organization, Ryūji decides to fight using his power as a relic handler. 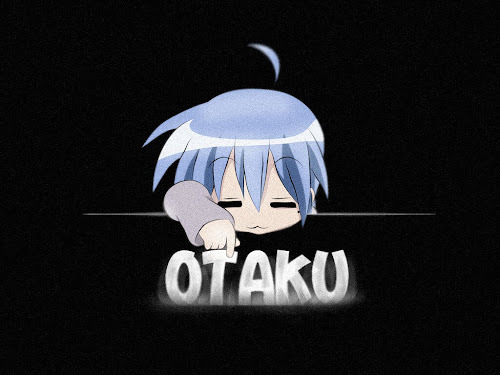 Nevertheless, whether it is natural or supernatural, anime is naturally the best! 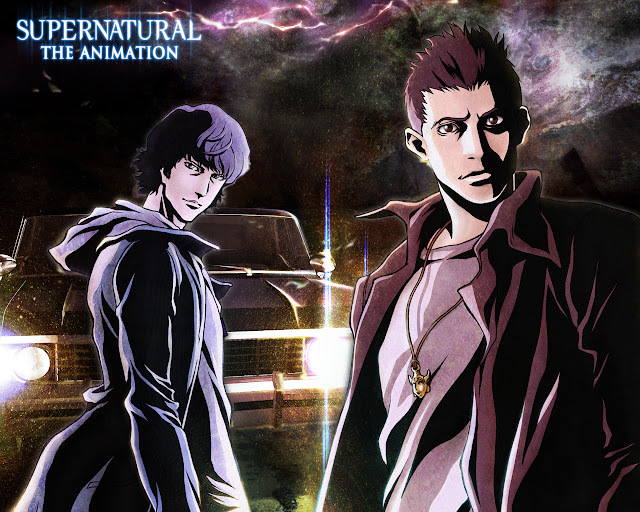 Don't forget to tune your natural self for these supernaturally supernatural anime! Ultranaturalious!